Mumbai: Classmate, India’s No.1 Notebook Brand by ITC and Radio Mirchi’s spelling extravaganza Classmate Spell Bee Season 10 culminated today with an exhilarating finish as Soha Ali Khan announced Srija Mallipudi of Narayana IIT Olympiad School, Vijayawada as the National Champion of India’s largest spelling competition. Preetham R of Ryan International School, Kundalahalli, Bangalore was the first runner up. The theme for the contest this year is ‘Be Better than Yourself’ that encourages everyone to strive for continuous improvement. The competition this year was conducted across India and engaged with more than 3 lac students across 1000 schools in 30 cities by testing their mettle in English spellings. In the initial phase, an on-ground exercise in schools received massive participation. The top 15 spellers from each school then competed in the online city finals round. The top performers from the city finals then competed in the Semi Final stage of the competition. From there only the top 16 students from across India went on to battle it out in the televised National Finals. 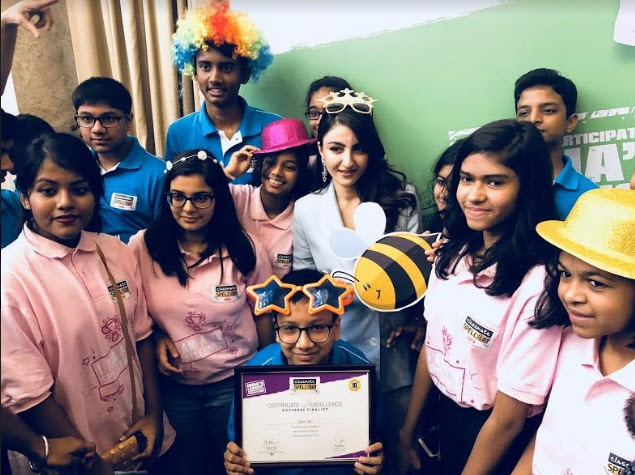 The National Finals of Classmate Spell Bee Season 10 saw a grueling competition between the top 16 spellers of India in the search for the National Spell Bee Champion. The National Finals will be simulcast on The Discovery Channel, Discovery Kids and Discovery Tamil. Season 10 saw Classmate Spell Bee actively engaged with its consumers through a dedicated website. Classmate provided the Students with learning modules, tests, interactive blogs and contests to prepare for the event The focus this year has been to create a holistic educative experience for participants using a versatile mobile app and web based learning and practice solutions. Classmate believes in encouraging children to excel in the field of their choice by striving to continuously improve by competing with themselves and not with others and to be better than themselves. The National Champion of Classmate Spell Bee Season 10 won a grand prize of Rs. 2,00,000/- apart from the opportunity to witness the prestigious Scripps National Spelling Bee 2018 with a parent in Washington D.C., U.S.A. in an all expenses paid trip. The 4 semi finalists won a cash prize of Rs. 50,000 each. The grand prize for the winner of Classmate Spell Bee and those for the semi-finalists have been specifically designed and sponsored by Classmate to help encourage and enable students to follow their hearts true calling. 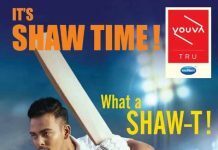 The competition this year is powered by The Times of India, Times NIE is the education partner, Discovery Kids is the television partner and Victor Tango is the event partner for the property. ITC made its entry to the education and stationery business with its Paperkraft brand in the office stationery segment in 2002; and later expanded into the popular student notebook segment with its Classmate brand in 2003. By 2007, Classmate became the largest Student Notebook brand in the country. Together, Classmate and Paperkraft offer a range of products in the Education & Stationery space to the quality seeking discerning consumer, providing unrivalled value in terms of product construction & price. Classmate and Paperkraft have become a natural extension of consumers. Meticulous understanding of consumer needs helped create a relevant and comprehensive portfolio of stationery products created to the highest exacting standards of performance and safety satisfying the needs of different consumer sets. Classmate’s portfolio today comprises of offerings spanning across notebooks, writing instruments including pens and pencils, scholastic products such as geometry boxes, scales, erasers and sharpeners, as well as Art Stationery such as Wax Crayons, Plastic Crayons, Sketch pens and Oil Pastels. ITC is the manufacturer of India’s first Ozone treated environment friendly Elemental Chlorine Free (ECF) pulp, paper and paperboard. It blends its knowledge of image processing, printing and conversion garnered from Packaging & Printing Business with its brand building and trade marketing & distribution strengths resident in its FMCG business to offer superior value products to consumers.